I like buying my craft supplies in a range of places, find some exciting bargains. 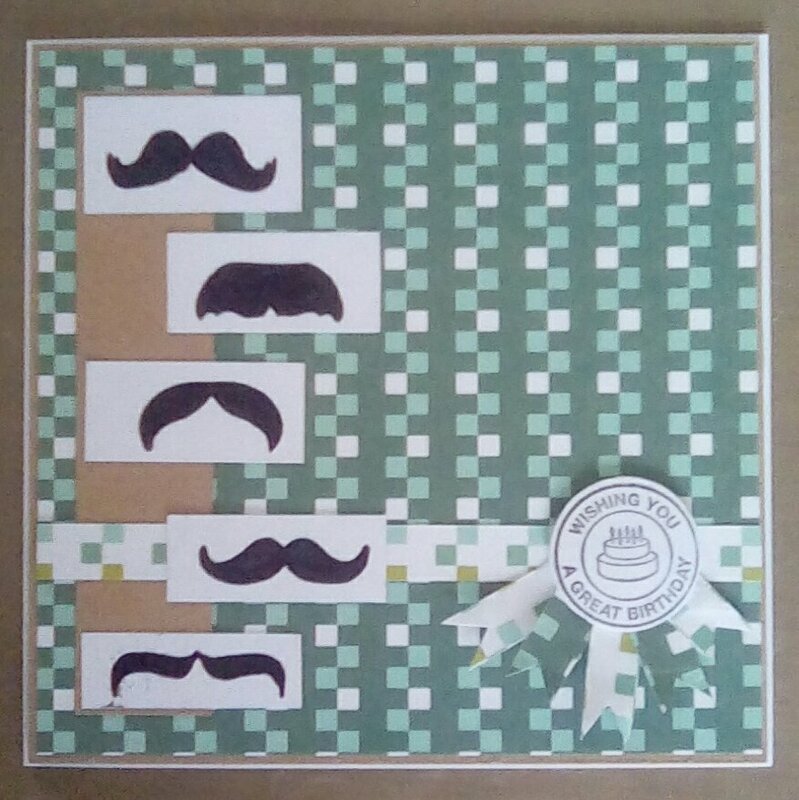 Last year I discovered a set of moustache stamps in a shop in Edinburgh called Tiger (one has now opened in Newcastle, too) and I only paid £1!! 1) Mat a piece of background paper 14.7×14.7 cm onto kraft card 15×15 cm. 2) Stamp your chosen theme and cut out. 3) Cut a strip of kraft card 12x3cm and stick to left hand side of card, leaving approximately 1.5cm border above, to the left and below. 4) Cut a strip of coordinating (or clashing would be really effective) background paper 1×14.7cm and stick along bottom third of card, over kraft layer. 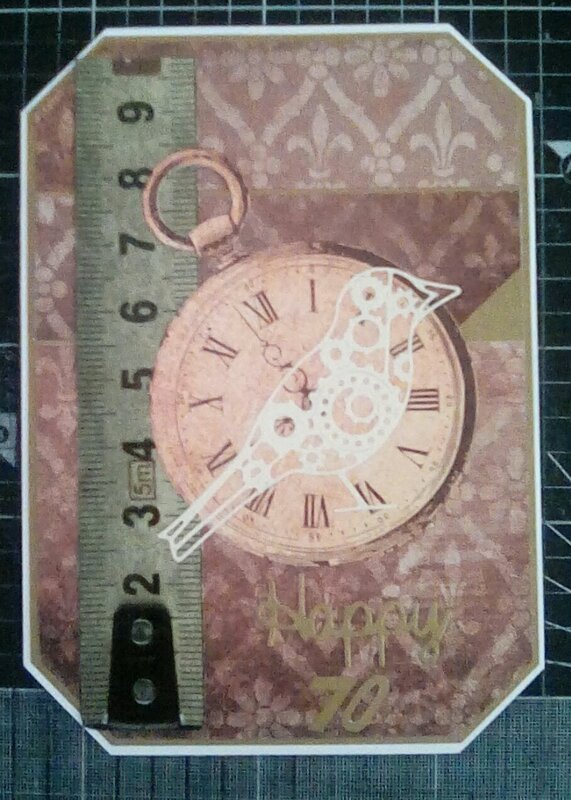 5) Stick your 5 stamped images down the kraft layer – I used a stepped pattern, but a straight one would work, too. 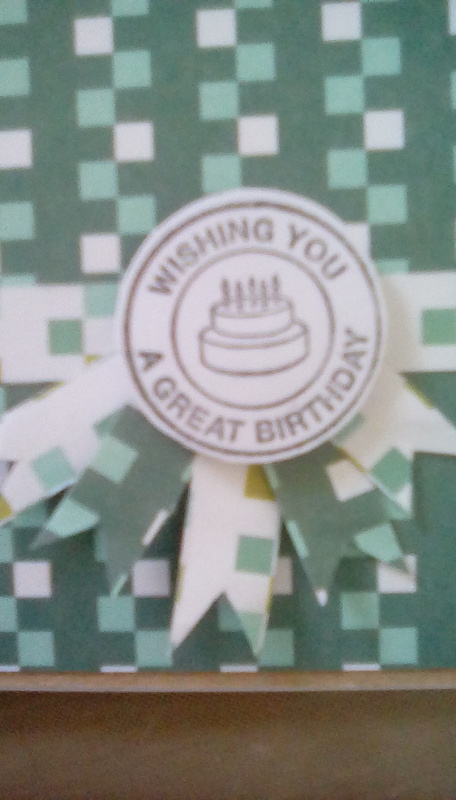 6) Stamp and cut out circular greeting. 7) Cut out 5 narrow strips of background papers and snip into banner shapes. Fasten these under circular greeting to make a rosette. 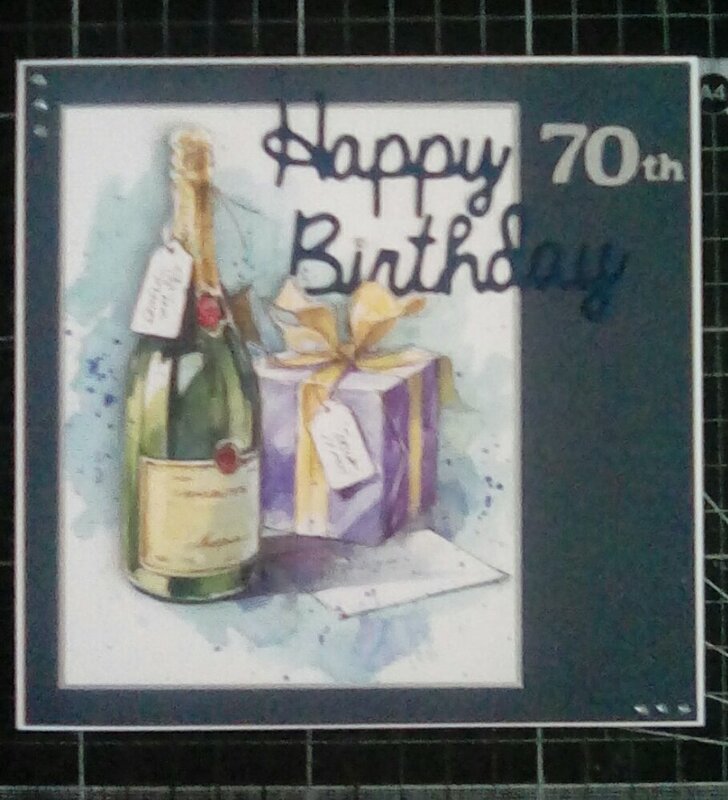 8) Stick rosette on the narrow piece of background paper from step 4 to the right of card. 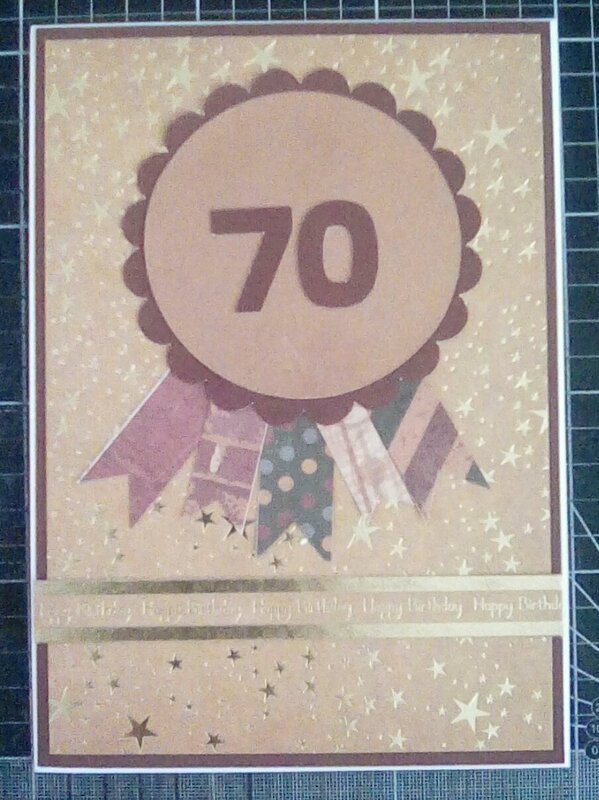 9) Glue (or use double sided tape) completed card front to card blank. 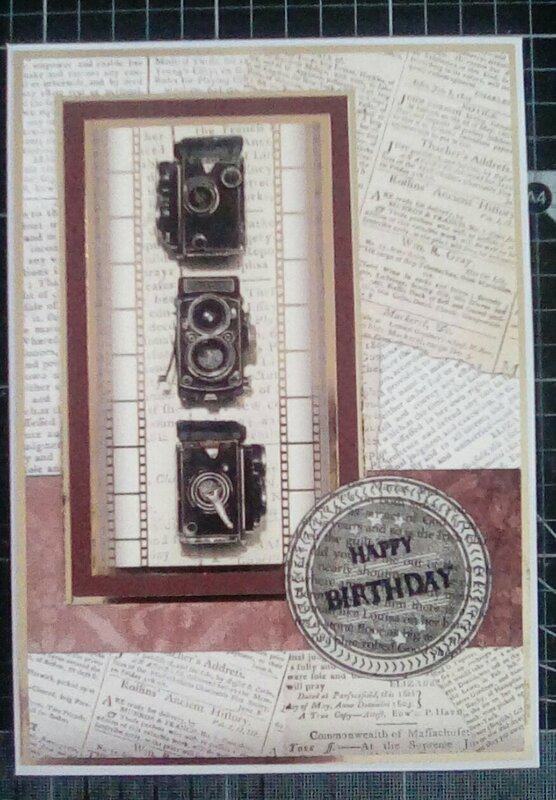 This entry was posted in cards, Male birthday and tagged Male birthday; quick and easy; stamping on April 19, 2016 by Isn't She Crafty.